The high school years are an important time in a young person's life as students must make crucial decisions that impact their future success. 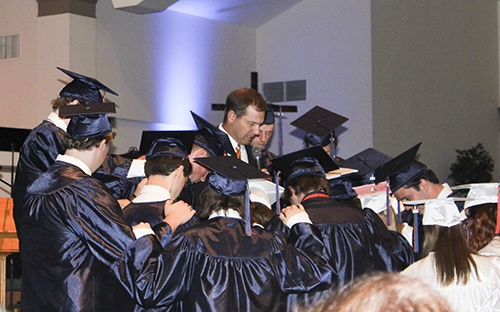 Accordingly, the high school focuses on three important cornerstones of a student's education: Christian character, sound academics and positive relationships. 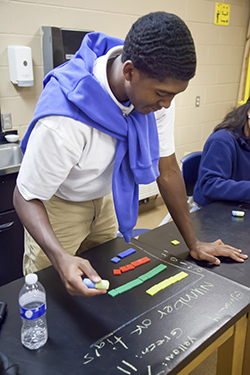 At Nashville Christian School, faculty members openly share their Christian values with students, and instructional time often touches on ethical and character issues. In addition, students regularly attend Bible classes and chapel and are encouraged to participate and lead. We hope that our students learn to build a strong relationship with Christ and carry this on into their adult lives. Along with developing the spiritual lives of students, our high school teachers provide a high quality and challenging curriculum. We are proud to offer an array of challenging honors, dual enrollment, and AP classes, which allow students to get a head start on their college career. At NCS, we provide a rigorous course of study designed to meet the needs of our students as they progress toward the goal of college success. They will have many opportunities in areas of service and leadership through student council, National Honor Society, and other events and organizations. One of the finest characteristics of our school is the sense of community that we share. Every administrator, faculty member and student enjoys a family atmosphere that is embraced throughout the school. Teachers and students build relationships that foster student success and growth. In an environment where Christ is the center of everything we do, everyone shares a common goal and purpose. We believe our students will learn to achieve at a high level academically, athletically and socially. Most of all, we provide an opportunity for our students to grow spiritually throughout their time with us so that when they are adults, they will have a strong relationship with God.